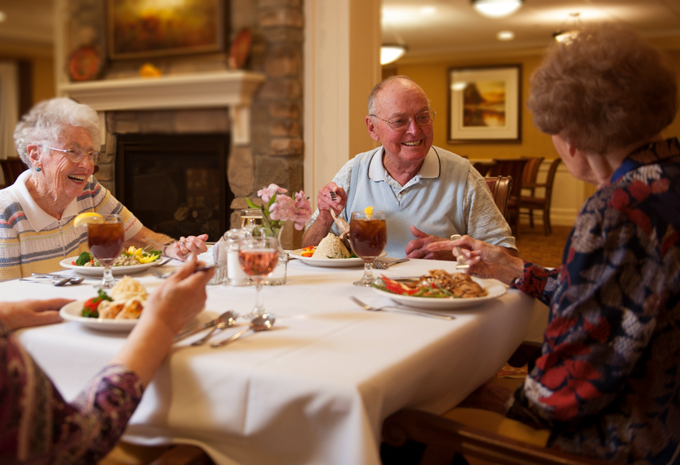 Come visit Brightview Senior Living and experience Personal Care in Pennsylvania like you never imagined. 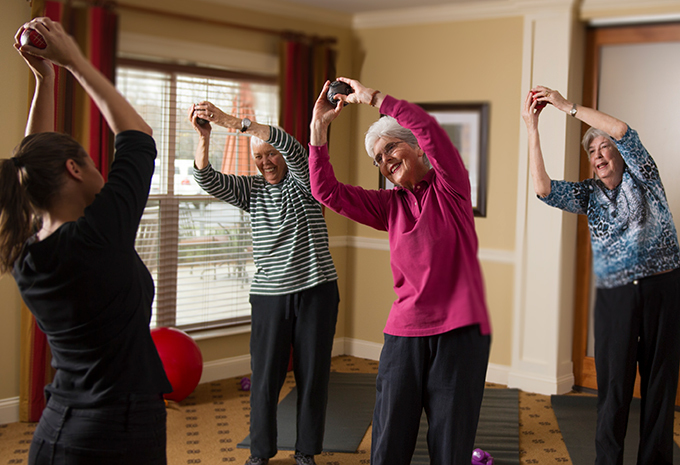 Our friendly associates are committed to caring for our residents, while encouraging them to stay as active and independent as possible. 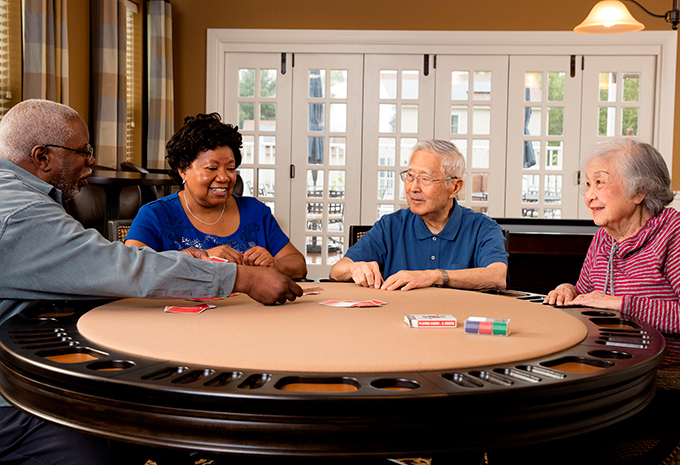 We focus on fostering each individual’s abilities and strengths, so everyone can life a more fulfilling life. 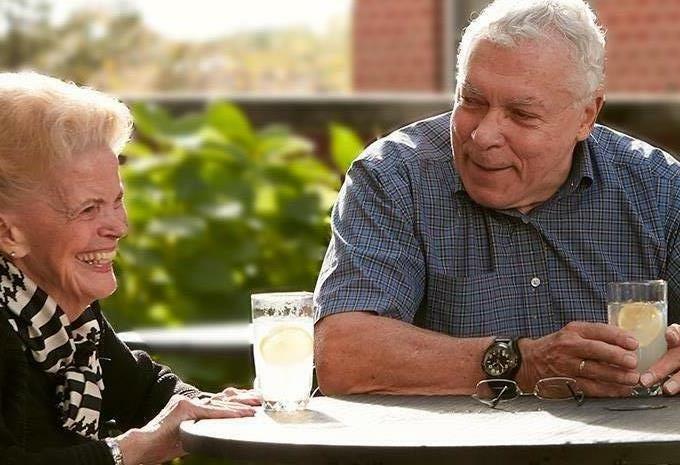 With two locations for Pennsylvania Personal Care (also known as Assisted Living in other states), Brightview Senior Living serves Montgomery and Delaware Counties and the greater Philadelphia area. 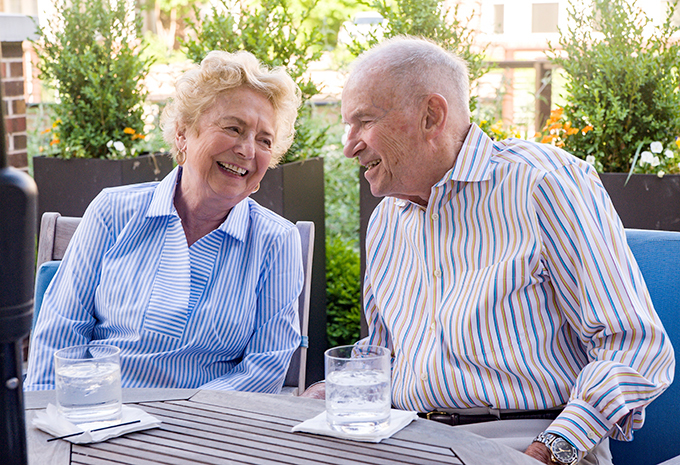 Your new home will be a private apartment that is designed specifically for the needs of Personal Care residents. 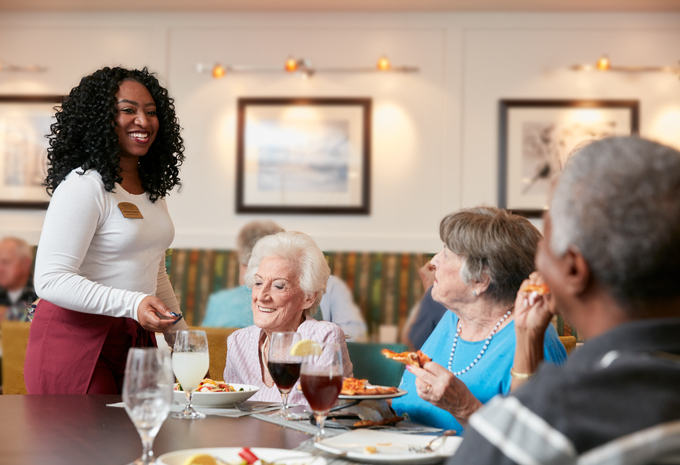 Just like our Assisted Living communities in other states, each apartment has large windows for natural sunlight, a kitchenette for when you want to prepare your own meals, and bathroom designed with safety in mind. You’ll love your new home! 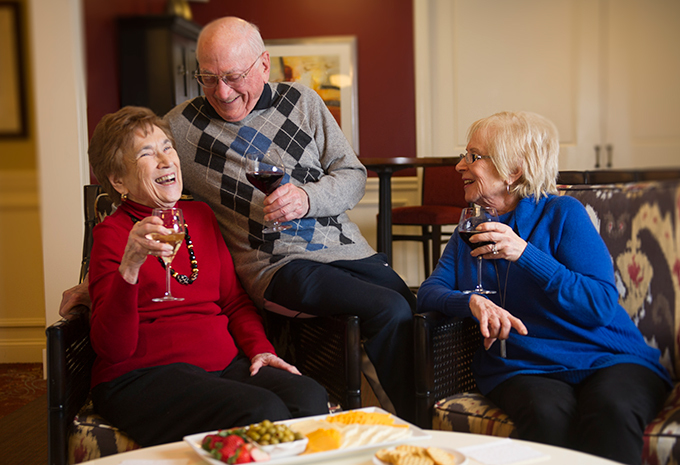 Our communities are abuzz with life. 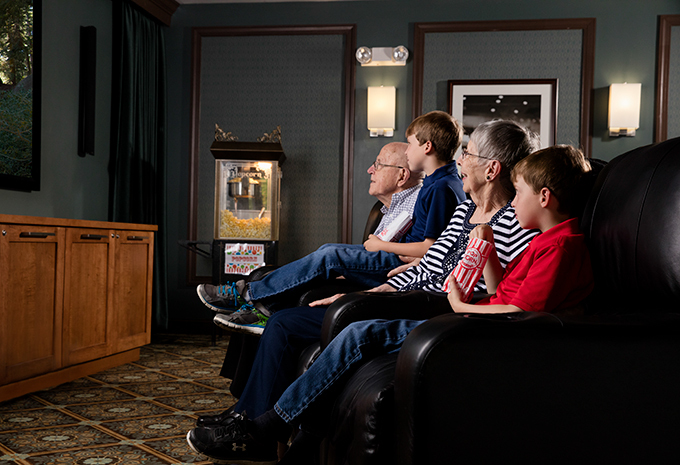 Each day is full of possibilities: learn a new hobby, get pampered in the salon, catch a movie in the theater, play billiards in the pub. 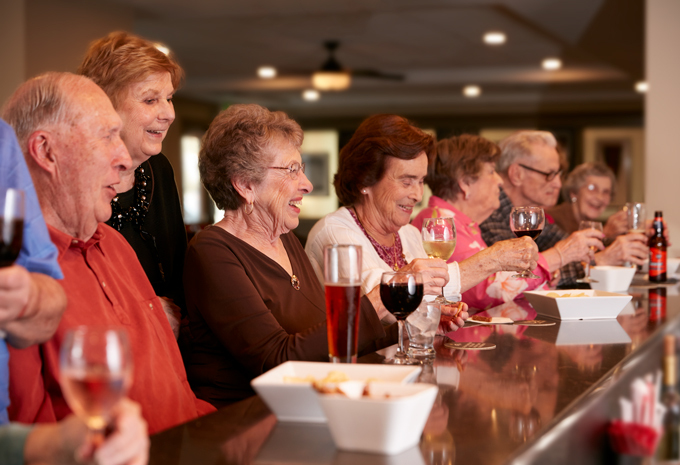 We also have a Vibrant Living director for more organized activities like social clubs, cultural excursions, guest speakers, and more. 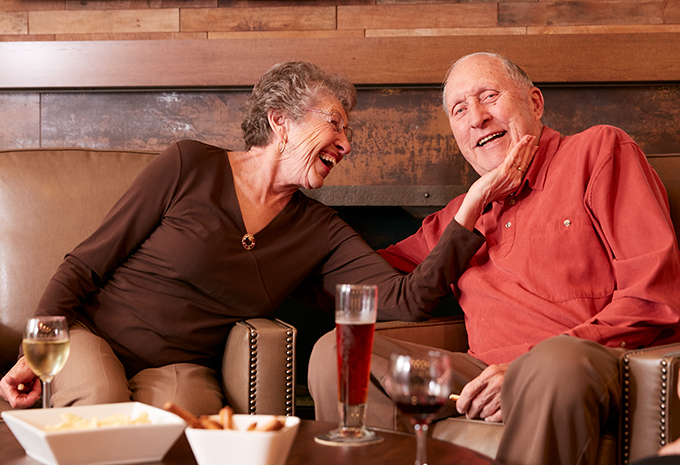 Of course, we have plenty of cozy nooks for quiet reading or intimate conversations. 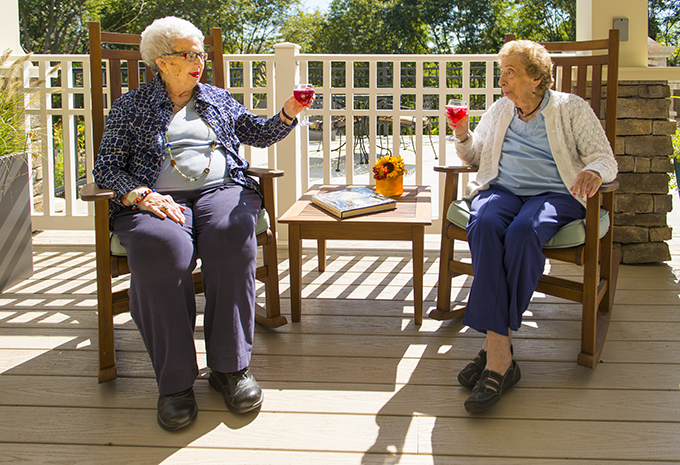 Outdoors, we have beautiful gardens to walk in and enjoy nature. 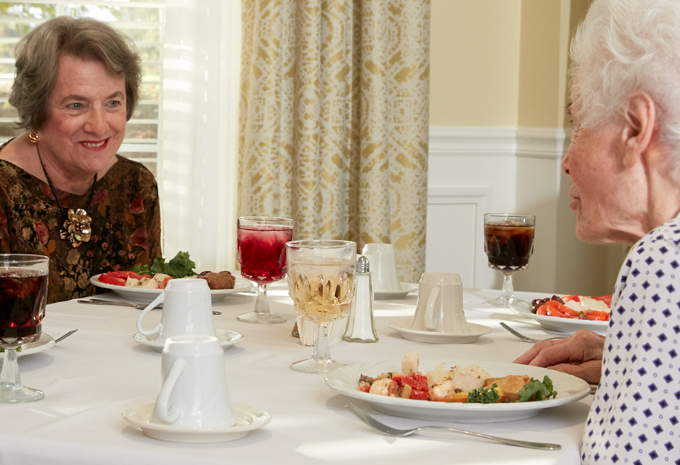 You’ll love our lovely dining room, where you can savor meals prepared by our expert chefs and served by our highly trained wait staff. 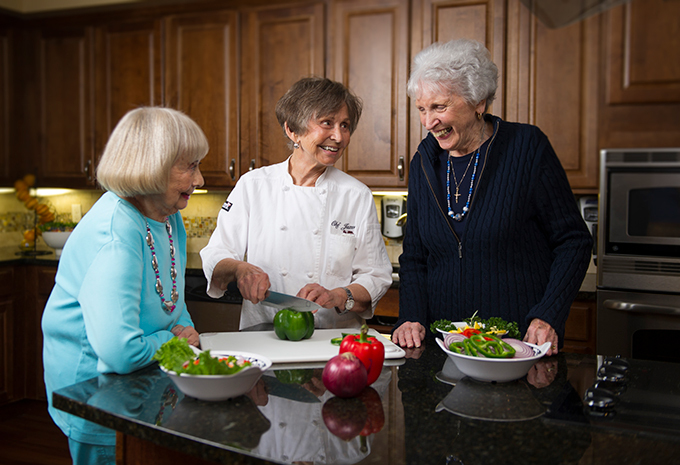 Let us do all of the cooking and the dishes, and you’ll think you’re eating in a restaurant every night! 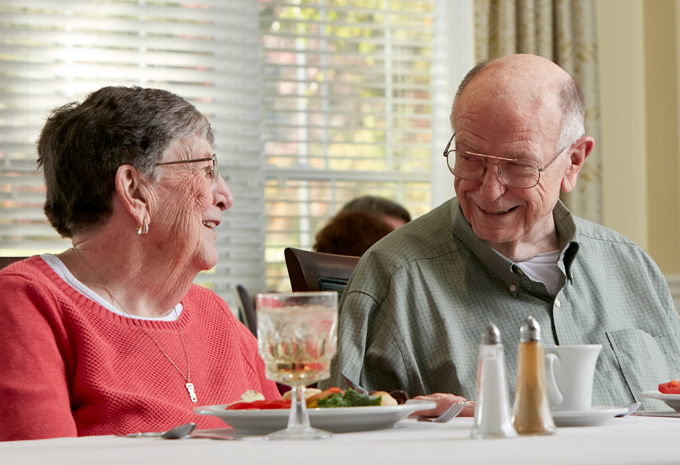 Each of our Pennsylvania Personal Care residents and Assisted Living residents in other states provide a personal care plan that we develop with you and your family. This helps our associates know when you need help and when to let you lead the way. 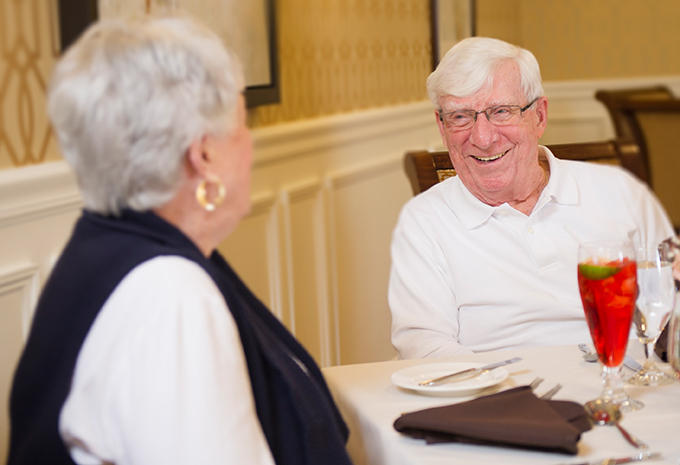 Discover Brightview Senior Living in Pennsylvania and schedule a personal visit! 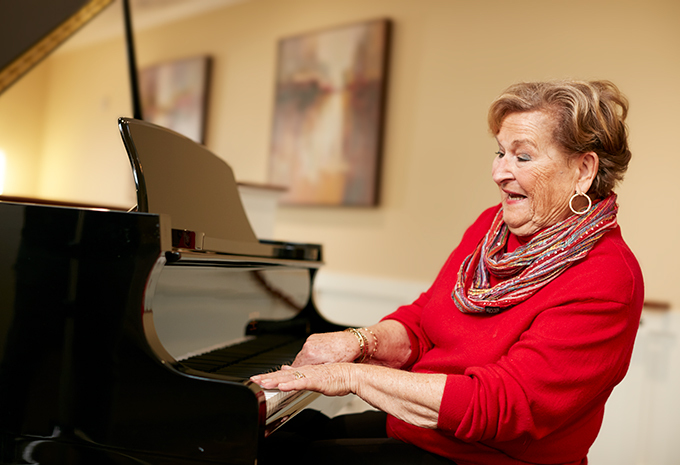 Brightview Senior Living have over 30 Assisted Living communities in Connecticut, New Jersey, New York, Maryland, Massachusetts, Pennsylvania, Rhode Island, and Virginia.